Featured: Art form, Sport or Combat? The Instructors at Modern Combat Martial Arts teach the basic languages of WLCS, from a verbal, written, and physical perspective. Lessons are in context with Basic Skill Development, and enable a practitioner to forge the foundations of becoming a serious tactical fighter. A proficient fighter of this nature can determine which Principle Considerations of the Combative Process are being actualized by an opponent, and which are absent. Once these considerations are seen, a practitioner can make an informed decision to adapt. This is done through reading the “physical language of unarmed combat” and reacting in a timely manor. Where most are prone to shut down under pressure, you can learn to adapt with real considerations and increase your odds of survival. For more information, or to register, please contact Mr. Otto at michael.otto@whitelotussystem.com. The system’s founder, Brian K Leishman, will be conducting a seminar and a series of workshops in October. They will be held at Western Gate Martial Arts, which is located in Streetsville, Ontario, Canada. In context with the learning process, every study, sub-study, lesson, and lesson step, serves as preparation for the next. Content taken out of context can be ambiguous at best. This is not to say that martial artists from other styles have to start at the beginning. They can start at any level they want provided that they understand what’s being stated in the first two sentences of this blog. As an educator, I discourage people from entering into a course, seminar, or workshop if I believe that the course content will be ambiguous to them. However, I will take the time needed to encourage these same people to fulfill the dependencies needed to enter into the levels they seek to learn. Creating venues for seminars and workshops is not just about making money, it’s about helping people learn real things in a real way. Brian K. Leishman Founder of White Lotus System of Unarmed Combat. Canadian Martial Arts Association An association dedicated to furthering the quality of martial art instruction by means of educating consumers. MCMA Media Media Feeds from Unarmed Combat Experts. 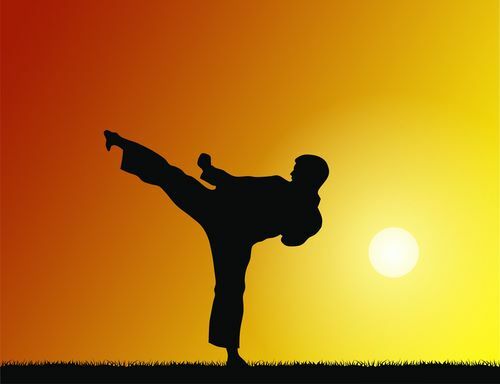 White Lotus Combat System WLS Unarmed Combat System, articles, and content.